One of my very favorite things about summer is the time I have to read. I have vivid memories of riding my bike to the public library during summer vacations when I was in elementary school. I would check out 12 books (the most they would allow), balance them precariously in the basket of my bike, ride home and devour them on the screened in back porch and then ride back to the library to get 12 more. Summer days spent reading were the best. I still feel that way now. I started my summer by reading several “just for fun” books. Elin Hilderbrand is one of my favorite “beach book” authors, as well as Chris Bohjalian. Now that I’ve decompressed a bit and am in full-on summer mode, I’m diving into my professional reading stack. Of course, I’ll make sure to mix up the professional reading with plenty of pleasure reading too. Happy summer reading, friends! Enjoy. Do you have favorite books you read and reread as a summer ritual? If you saw my post the other day, you’ll remember that I’ve been thinking a lot about literature circles or book clubs lately. We can teach children to facilitate their own discussion groups. I especially like to see these happening in grades 3-8, but I’ve also seen them work well in grade 2. Harvey Daniels, Literature Circles: Voice and Choice in Book Clubs or Reading Groups, Stenhouse, 2002. Harvey Daniels (or Smokey as he’s known to his friends) is probably the person most responsible for getting many teachers to think about literature circles. In this second edition he clears up the confusion about “role sheets.” In some classrooms, he says, they became “a hindrance, an obstacle, a drain.” He explains that the roles are “intermediate support structures” and that each role was designed to “support collaborative learning by giving kids clearly defined, interlocking, and open-ended tasks.” In this text he moves from role sheets to a training process. On pages 55-71 he gives four training options. Jeni Day, et. 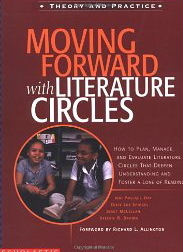 al., Moving Forward with Literature Circles, Scholastic, 2002. 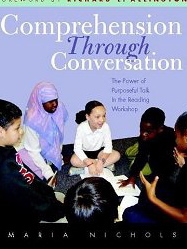 This book will really help you begin the year with careful practice of discussion groups. The authors help you map out a way to begin with whole group read alouds and practice different ways of talking about text before moving students into running their own groups. The lists of prompts to get discussions going on various topics will be helpful to novice teachers. 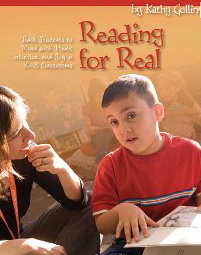 Kathy Collins, Reading for Real: Teaching Students to Read with Power, Intention, and Joy in K-3 Classrooms, Stenhouse, 2008. 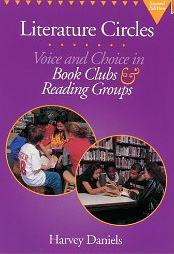 Although Collins is not talking about literature circles, she does use reading partnerships. The partnerships are student-led discussions and are meant to support students as they delve deeper into texts. The two members of the partnership read the same book or books by the same author and then “grow ideas” together about their book, characters, series, author, and so on. Collins has the partners fill out a “Reading Partnership Contract” (an adaptation for book club members would be easy.) Their contract begins, “We will try our best to work well together to help each other become stronger readers, thinkers, and talkers. Here is a list of things we will do as partners (book club members) that will help us do our best work together.” Then the students create a list and sign their contract. Column 1: What we noticed, learned, and found in the text. Column 2: What it makes us think, wonder, and question. Column 1: What we noticed about our character. Column 2: What ideas we grew about our character from the things we noticed. 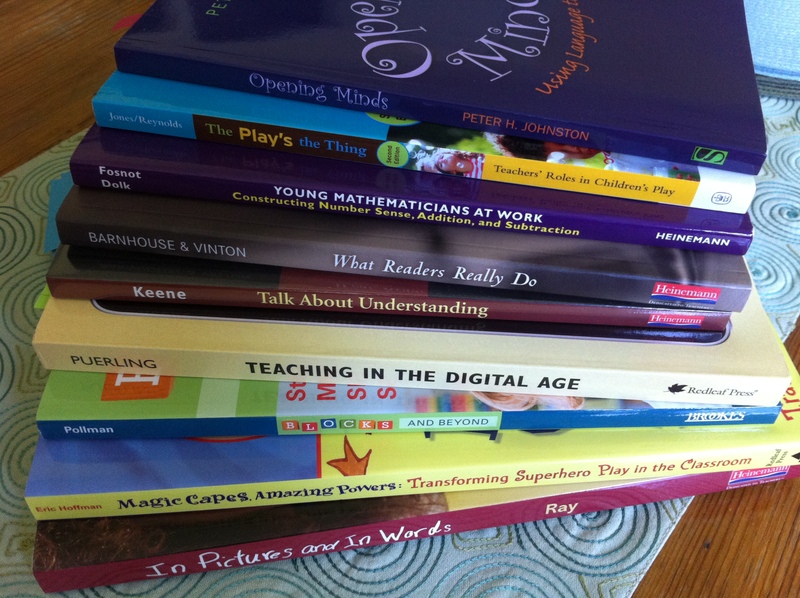 Maria Nichols has two wonderful books out – Talking about Texts, Shell Education, 2008 and Comprehension Through Conversation, Heinemann, 2006. Both texts will help you teach children about what good literature conversations look like and sound like. 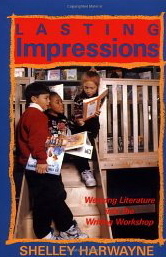 Shelley Harwayne, Lasting Impressions, Heinemann, 1992. This book is probably already on your shelf! Has it really been 20 years since I first read this book??? Consider rereading the first four chapters. Even though it’s mostly about writing, the reading connection is so profound. She opens the year by encouraging kids to respond to great literature and poetry. Again, literature circles are not mentioned specifically, but the idea of teaching kids how to delve deeply into texts is ever-present. Please feel free to add any other ideas of professional texts, blogs, or articles that relate to implementing book clubs in your classrooms.